1. Chiang HS*, Liu HM*. The molecular basis of viral inhibition of IRF- and STAT-dependent immune responses. Frontiers in Immunology. 2019 Jan; 8(9):3086. 1. 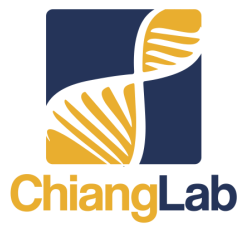 Jhou WT, Wang C, Ii S, Chiang HS, Hsueh CH. TiNiCuAg shape memory alloy films for biomedical applications. Journal of Alloys and Compounds. 2018 Mar 25; 738:336-44. 1. Chiang HS, Zhao Y, Song JH, Liu S, Wang N, Terhorst C, Sharpe AH, Basavappa M, Jeffrey KL, Reinecker HC. GEF-H1 controls microtubule-dependent sensing of nucleic acids for antiviral host defenses. Nature Immunology. 2014 Jan; 15(1):63-71 (Cover article). 1. Teramoto T, Chiang HS, Takhampunya R, Manzano M, Padmanabhan R, Maric M. Gamma interferon inducible lysosomal thiol reductase (GILT) ablation renders mouse fibroblasts sensitive to dengue virus replication. Virology. 2013 Jul 5; 441(2):146-51. 2. Chang SY, Song JH, Guleng B, Cotoner CA, Arihiro S, Zhao Y, Chiang HS, O’Keeffe M, Liao G, Karp CL, Kweon MN, Sharpe AH, Bhan A, Terhorst C, Reinecker HC. Intestinal dendritic cells survey circulatory antigens prior to induction of regulatory CD8α/β T cells. ​​Immunity. 2013 Jan 24; 38(1):153-65. 1. Chiang HS, Maric M. Lysosomal thiol reductase negatively regulates autophagy by altering glutathione synthesis and oxidation. Free Radical Biology and Medicine. 2011 Aug 1; 51(3):688-99.